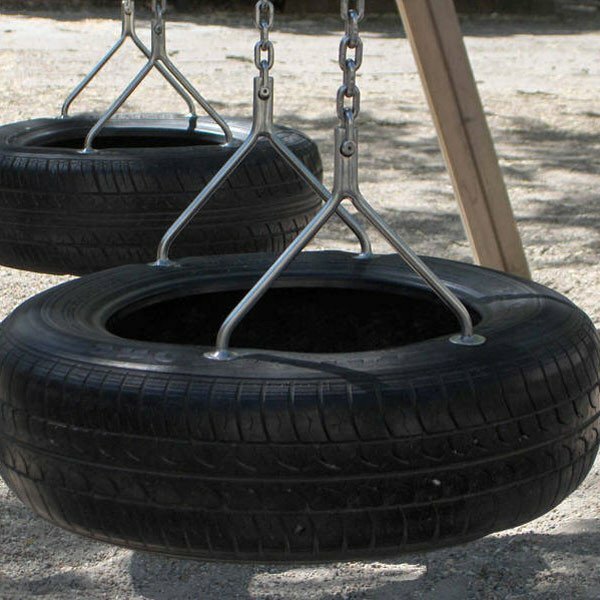 Stainless steel swing hangers mounted on a rubber tyre with galvanised support washers. Supplied complete with 6mm short link stainless steel chains. 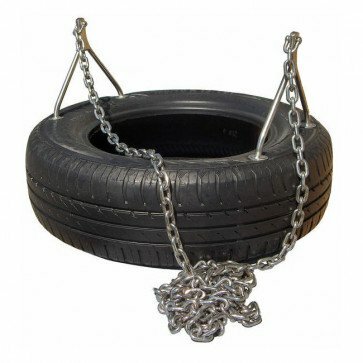 Tyre Stainless Steel Swing Seat Hanger For Creating A Swing Seat From Car Tyres.